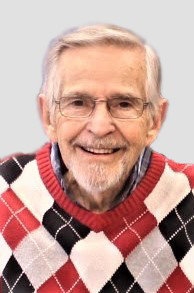 Jerrold Clifford (Cliff) Patterson, age 79, of Fort Scott, KS, passed away on Saturday, February 2, 2019, at Via Christi Hospital in Pittsburg, KS. He was born on September 21, 1939, in Kirksville, MO, the son of Reece Jerrold and Ruth Margaret (Reynolds) Patterson. Cliff married Nancy Jo Smith on December 13, 1958, in her parents’ home in Lawrence, KS. He worked for Hallmark Cards, Ennis Business Forms and Ward-Kraft as well as being an owner/ operator of the Otasco store in Ava, MO. Cliff enjoyed flying, sailing, fishing, woodworking and riding his motorcycle. He was active in the Mercy Hospital Auxiliary and the ROMEO Riders motorcycle club until pulmonary fibrosis ended these involvements. At the time of his passing, Cliff attended Diamond Community Church in rural Fort Scott. Cliff is survived by his wife, Nancy of the home; four daughters, Sharon McGaughey of Pollock Pines, CA; Brenda DeKeno (Don) of Pea Ridge, AR; Deborah Allen (Tim) of Fort Scott, KS; and Laura Soliday of Kansas City, MO. He was the proud grandpa of twelve grandchildren; and the beloved “GGpa” to ten great-grandchildren. Cliff is also survived by a sister, Darlene Radke of Ferndale, WA; and a sister-in-law, Rozann Patterson of Prosser, WA. He was also the much loved uncle of four nephews and one niece. Cliff was proceeded in death by his daughter, Sandy Patterson of Bella Vista, AR; his parents; his brother, Claude Patterson of Kissimmee, FL; his brothers-in-law Robert E. Smith of Kansas City, MO and Elmer Radke of Ferndale, WA. ; his nephew, Doug Radke of Bellingham, WA. Pastor Trevor Jacobs will conduct funeral services at 2:00 PM Sunday, February 10th, at the Cheney Witt Chapel. Burial will take place at 1:00 PM Monday, February 11th, in the Evergreen Cemetery. Family and friends may meet at the Cheney Witt Chapel prior to leaving for the cemetery at 12:45 PM on Monday. Memorials are suggested to CrossPower Agape ministries and may be left in care of the Cheney Witt Chapel, PO Box 347, 201 S. Main, Fort Scott, KS 66701. Words of remembrance may be submitted to the online guestbook at cheneywitt.com.